Medical charity Medecins Sans Frontieres warned today of a growing humanitarian crisis in west Africa where around 70,000 Malian refugees are stranded in the Mauritanian desert camp of Mbera. MSF emergency co-ordinator Henry Gray warned that “more than 100,000 people from northern Mali are currently displaced within their country or have escaped abroad as refugees. 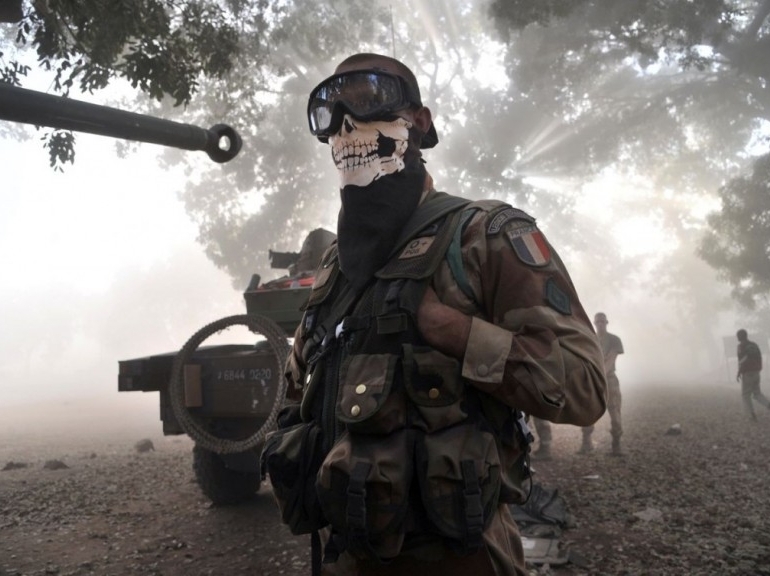 Mauritania has been poor in terms of health and nutrition for many years, but since the French military invaded MSF says the situation has deteriorated. It said the intervention triggered an influx of 15,000 new refugees. Consultations in MSF clinics have increased from 1,500 to 2,500 per week and the number of children admitted for severe malnutrition has more than doubled. Alps shootings: French Foreign Legion soldier ‘top of suspect list’. Patrice Menegaldo, who killed himself last year, fits profile of hitman behind murder of British family and French cyclist in 2012, prosecutor says: here. This entry was posted in Crime, Human rights, Medicine, health, Peace and war and tagged France, Mali, Mauritania, refugees by petrel41. Bookmark the permalink.